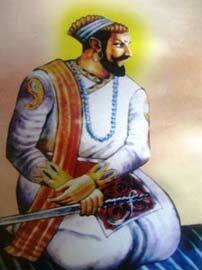 Shivaji Maharaj, the illustrious founder of Maratha power, derived his descent from the renowned Bhonsle family. This noble Maratha house claimed an ancient Kshatriya (warrior) origin. It is said that the family was transferred to the uplands of Maharashtra by a Rajput warrior, named Devraj Maharana. Family tradition tells a long and chequered tale of adventures and vicissitudes. In what is now known as the province of Oudh, there ruled for centuries the ancient princes of the royal Sesodia family. They claimed descent from the mythical Solar Race which, along with the Lunar Race, comprises the genealogy of every Kshatriya family in the land. One of these Sesodia (Sisodiya) princes crossed the Narbada (the River Narmada) and became the founder of an independent principality on its southern banks. The fortunes of this family were, however, destined to wane before the rising glory of the famous Shalivan (Satvahana), who inaugurated a new Hindu era, which still exists south of the Narbada. The ruling Bhonsle prince of the time was defeated and his kingdom annexed. During the crisis the prince's wife escaped with her young son of five or six years across the Narbada and sought shelter in the inhospitable regions of Mewar in the vicinity of the Vindhya Mountains. There she found asylum with a poor Brahman family, her son keeping the Brahman's kine. Once, while out engaged on his cow-herd duties, the boy discovered a hidden treasure. This he disclosed to his patron and acquainted him with the story of his origin and fall. The Brahman listened with sympathy and encouraged and exhorted him to endeavour to recover his royal power, giving him every assistance within his means to that end. It was a mountainous region in the possession of the Bhils, against whom they had to fight. When the conquest of the country was completed, they erected a fort upon those mountain heights under the shadow of a temple of the goddess Bhawani. This fort they named Chitrakote. They restored the ancient temple of Bhavani and built another within the fort in honour of Eklingji Shiv. 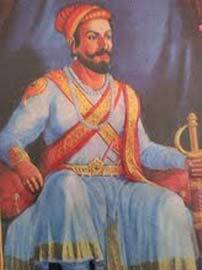 The descendants of this prince are said to have reigned at Chitrakote for about five hundred years. Fort Chitrakote afterwards became famous in history as the fort of Chitore. Then followed the establishment of Mahomedan power at Delhi, and the interminable wars between the Mahomedan emperors and the Rajput princes. Many Hindu kings had to acknowledge defeat and become vassals of the Mahomedan emperors. These rulers carried on constant warfare against the Rajput state of Chitore, but with little success to boast of. The Chitore princes defended their kingdom and independence very bravely. 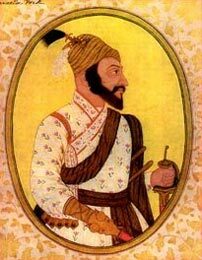 In about 1275 the Maharana Lakshman Singh succeeded to the throne of Chitore. The affairs of administration were in the hands of his uncle, Bhim Singh. This Bhim Singh had for his consort one of the greatest beauties in the land, Rani Padmini (although some chronicles describe Rani Padmini as the wife of the Maharana Lakshman Singh himself). The princess is said to have come from Ceylon. Her great reputation for beauty reached the ears of Allauddin Khilji, the emperor of Delhi, who conceived an unholy passion for her. With an immense army he advanced upon Chitore and laid siege to the fort. The Rajputs fought with the valour for which they are famous; they beat back the enemy in all their advances, but still Allauddin would not raise the siege. He had invested the fortress on all sides with very powerful forces. The garrison had now exhausted all their resources. Driven to desperation, the Rajput king resolved to make a sudden sortie at the head of his whole army against the enemy and meet a warrior's death on the field of battle. Rajputs to a man applauded the plan. But surely it was not desirable that the whole race of the Sesodias should be extirpated from the earth, and a means must be found to perpetuate it. The king had twelve sons. They all vied with each other in the desire to sacrifice their lives upon the battlefield. But the second prince, Ajay Singh, was the special favourite of his royal father. The Raja explained to him how undesirable it was that his royal race should be totally extinguished and commanded him to betake himself to an inaccessible part of the Aravalli Mountains, known as Kailwada, and save himself. This advice was by no means palatable to a prince of the courage of Ajay Singh. But overcome by the urgent entreaties of his father he was obliged to acquiesce in this plan, and according to his father's wishes escaped to Kailwada. Thereupon at Chitore, the Raja with his followers and kinsmen dashed forth upon the enemy, and nearly fourteen hundred of them were cut to pieces. The fort fell into the hands of the Mahomedans. The whole place was pillaged and plundered; not even the royal insignia were saved; the gigantic war drum and the massive gates composed of an ingenious amalgam of five metals, celebrated throughout the land, fell into the hands of the enemy. When Ajay Singh made his escape from the doomed fortress, he took with him Humbir Singh (Vir Hammir), the minor son of his eldest brother. He then rallied the remnants of his people and again formed a fairly large principality. As Humbir Singh grew in years he proved himself a brave and capable leader. Ajay Singh was a man of a very pious disposition and loved his nephew with a father's love. He crowned him king of his forefathers' realm and himself took charge of the administration. They built the fortress of Rajnagar and made it their capital. Chitnis' chronicle gives a different version to the effect that Lakshman Singh's queen escaped to the Bhil country with two princes who subsequently propagated the race, and returned to Chitore to eventually retrieve the royal drum and insignia from the enemy. Until they had curbed the insolent pride of those hostile bands who had decimated their race and desecrated the capital of their hereditary kingdom, they were resolved not to carry their war standards before them, and to deny to themselves the luxury of plate and couches, and not even to trim their beards. This hatred of Islam they transmitted to their descendants. They made new conquests; they built new forts and consolidated their power; and at last with Udaipur as their capital, they established their independence. On the demise of Ajay Singh, his son Sajan Singh thought it unwise to quarrel with his cousin for a partition of territory, and considered it more glorious to win new realms for himself. With this design, this brave prince advanced southwards. The territory of Sondhwad was conquered by him, and there he made his capital. Among his descendants we read the names of Dilip Singhji Maharana, Singhji Maharana, Bhosaji Maharana, and Devrajji Maharana in succession. All these constantly fought with the Mahomedans and preserved their kingdom. But at length Devrajji, quite exhausted with the frequency of the Mahomedan invasions, gave up his kingdom, and coming down to the south maintained a precarious independence as a polygar in the valleys of the Krishna and the Bhima. On entering onto the Deccan he changed his name, in fear of the Mahomedans, and assumed the new name of Bhosawant Bhonsle. His object was, if possible, to lay the foundations of a new sovereignty in this land. But the Mahomedans carried everything before them and his high ambition was not destined to be realised. At last he had to content himself with the patelship of Singnapur. His descendants afterwards obtained the patelships of various places by purchase, such as Khanwat, Hingnsi Begdi, Dewalgaon, Verul, Vavi, Mungi, etc. In the line of direct descent from Devrajji we have Indrasen, krshnaji, Rupsinghji, Bhumindraji, Dhapji Barhatji Khalaji alias Khalkarn, Karnasinghji alias Jayakarn, Sambhaji and Babaji alias Shivaji. The last Babaji named was born in 1533.